Yellowtail brings influences from the Middle East, the Mediterranean and Asia to a flexible, ever-changing menu. Partake in one of the finest dining experiences the Central Coast has to offer. 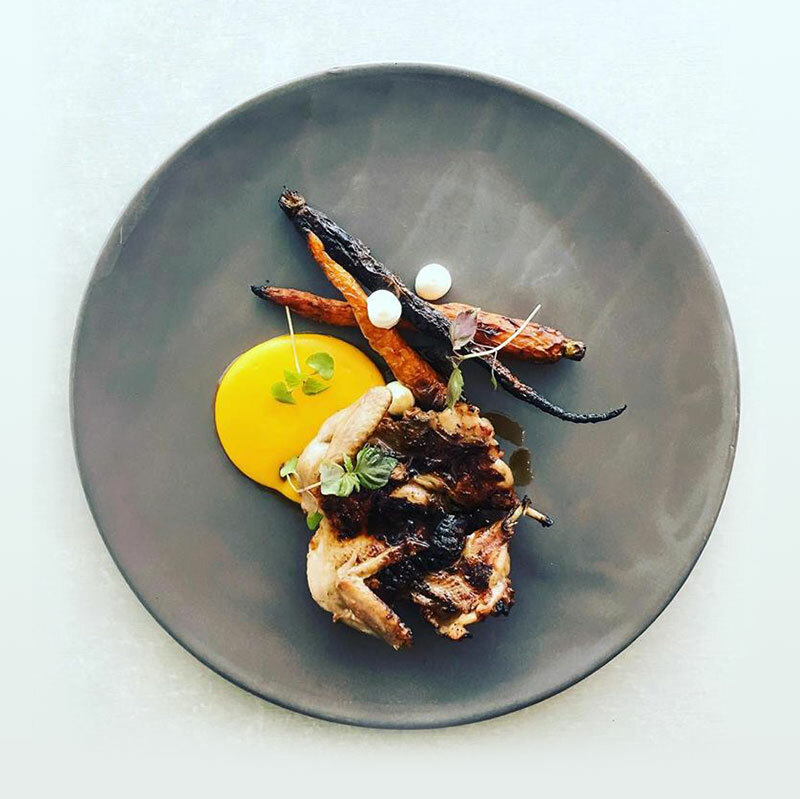 The chefs at Yellowtail strive to serve unique and flavour-forward dishes. We source local meat, fish and produce because we have a passion for community and local business. In light of this you receive the freshest possible produce, everytime. All the food lends itself to sharing, but can be enjoyed just as much the old fashioned way, with the menu made up of smaller items, and larger plates with a small cheese and dessert offering. We will only be closed on Christmas day and New Years Day over the festive season. We offer a number of packages for those wishing to have their work functions and end of year christmas parties with us. Please see our menu page for details or contact us at the restaurant. Don’t miss out on our exclusive seasonal deals! Join our mailing list today. Opening late in the Spring of 2016, Yellowtail is the first solo restaurant from Queensland Chef, Scott Price. Located within a small shopfront on Campbell crescent in Terrigal, the 35 seater is open 7 nights from 5.30pm and Lunch from midday Friday, Saturday, and Sunday. Price was raised on a farm in the rich food bowl of the Darling Downs, before travelling abroad to train with UK based Doyenne of modern seasonal cooking, Sally Clarke, at her eponymous London Restaurant. On returning to Australia, Scott joined Gary Skelton (Season, Noosa) at his restaurant, Harvest, in Coolum, and has recently been working alongside Simon Palmer (ex-Gerard’s Bistro) and Phillip Johnson at his 2 hat Bistro, E’cco in Brisbane.